Himachal Institute of Pharmaceutical Education and Research was established in 2008 by Smt. Kesari Devi Educational Trust, Nadaun. The institute is approved by the All India Council for Technical Education (AICTE) and Pharmacy Council of India (PCI), New Delhi and recognized by the Himachal Pradesh Technical University, Hamirpur, Himachal Pradesh. The institute is housed in sprawling lush green campus with an imposing building and most conducive atmosphere for academic excellence. The state-of-the-art infrastructure and instructional facilities of the institute includes well- equipped laboratories, voluminous library and spacious lecture halls. 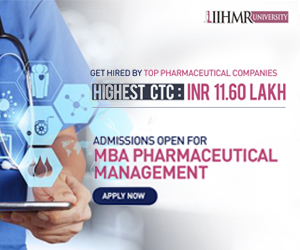 Himachal institute of pharmaceutical Education and Research is amongst the top ranking institutes in Himachal Pradesh. The Institute has grown impressively in both size and reputation and has become the preferred choice for many among all other self-financing institutes. At Himachal institute of pharmaceutical Education and Research, we provide our students with distinguished knowledge and top class facilities to meet the highest benchmarks. We have well experienced and learned faculty, scholastic curriculum, diverse educational exposure and various on-campus facilities which collectively focuses on all round learning experience and rewarding opportunities for the students. Himachal institute of pharmaceutical Education and Research has organized seminar, Conferences, Workshops sponsored by many national level Government funding agencies like DST,SERB,ICMR.Government of India. Nanotechnology is the fastest-growing technology in the world, and it is also called the Industrial Revolution of the twenty-first century. Many research, development, and manufacturing methods have been used globally to develop better and safer nanomaterials for various applications. Nanotechnology teaches us the critical properties of day-to-day materials and structures. The invention of the scanning tunneling microscope , carbon Nanotubes , and fullerenes laid a path toward nanotechnology because atomic- and molecular-level studies could be performed using the STM and Nanomaterials. Today this technology is employed in various fields such as Engineering, Technology, Applied Sciences, Biomedical, Pharmaceuticals, Food and Agriculture, and Construction Industries. The number of technical articles and patents related to Nanotechnology and Nanoproducts has been continuously increasing for nearly two decades. Within 10 or 15 years, it is expected that the industrial production of nanotechnology will be worth over $1 trillion. Thus, this technology will drastically change science, education, manufacturing, and the lifestyles of people around the world. The aim of seminar Is. to provide a plat form to exchange the research innovations and current affairs. in the field of pharmacy profession. Many students have sound technical Knowledge but lack oral expression, and communication capabilities. This two day seminar is organized with the aim of improving the technical communication skills and research approaches among the students. The conference features plenary sessions which will be delivered by eminent national and international speakers from different disciplines of pharmaceutical area. In addition, there will be invited lectures and sessions delivered by distinguished and young researchers in their respective fields during parallel scientific sessions. The conference will also provide the opportunity to scientists and research scholars from various organizations to put forth their innovative ideas and research findings by means of deliberations, discussions and poster presentations. • It will provide a common platform for interaction among the persons from different area of Pharmaceutical sciences. • Interaction between the faculty, students and eminent personalities. • It will help to impart new knowledge in the field of Drug discovery. 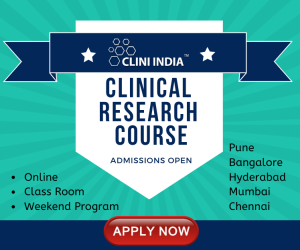 • Research collaboration between the Institute and Industry. • Emerging Nanotechnology for Stem Cell Therapy. • Nanotechnology: an effective tool for enhancing bioavailability and bioactivity of phytomedicine. • To hold delibration on Current scenario Nanotechnology in Drug delivery System. • Future Perspective of Nanotechnology and Drug bioavailability. • Medical Applications of Nanotechnology in Drug Research. • Nanotechnology in Medicine and Cosmetics. • Fundamental application of Nanotechnology in Medicine. • Nanotechnology in health care. • Nanomedicine and Nanoparticle in Drug Delivery system. • Nanoparticle targeted drug delivery system. • Recent advances in the application of nanomaterials and nanotechnology in food research. Abstracts of review/original research work are invited from interested Researchers/Research Scholars/Students for poster/oral presentation that are based on the theme of seminar and allied areas within 20th of February 2018. Abstract should be written within 250 words and submitted in MS Word format (Times New Roman, Font size 12 and 1.5 line spacing). The abstract should clearly state the name of presenting author (mark with asterisk) and affiliations of all authors, and should be submitted to the Scientific Committee by email at hiperseminar2018@gmail.com. •Posters should be of 0.8 meter width and 1 meter length. • The title, presenting author, corresponding author, address and contact information of the corresponding author must be mentioned. • The choice of font and font size of texts and size/ resolution of plots/graphs should be such that it is legible from a distance of 2-3 meters. Oral presentation should be made preferably by power point mode within 20 slides including introduction and references. Each oral presentation is limited to 7 minutes and 3 minutes for discussion.